ONE OWNER HARD TO FIND DUALLY 5.9 TURBOCHARGED DIESEL. 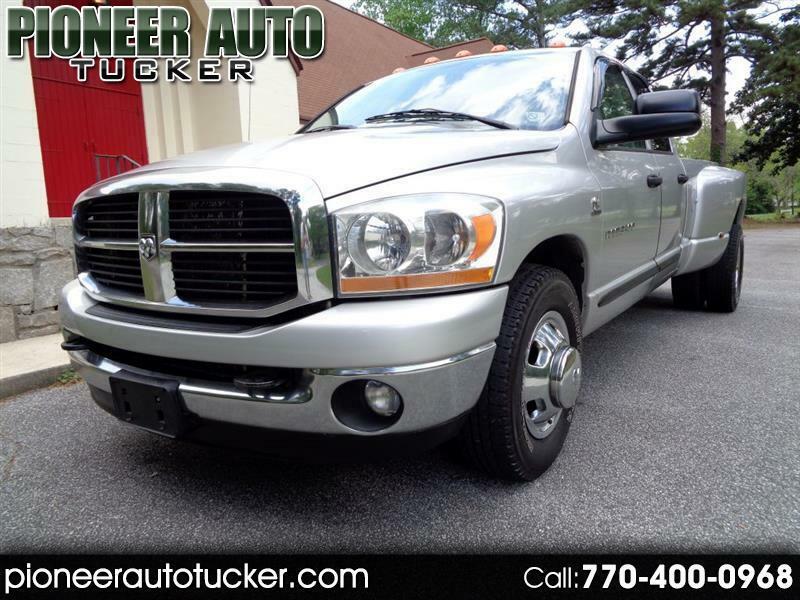 CREW CAB SLT PACKAGE WITH A CLEAN CARFAX AND HISTORY. IF YOU ARE IN A MARKET FOR A 3500SLT TO START YOUR BUSINESS YOU KNOW HOW HARD IT IS TO FIND A ONE OWNER TRUCK!! GREAT PRICE TO SELL FAST. CLEAN HISTORY AND DODGE STORE TRADE. GOOGLE PIONEER AUTO (TUCKER) TO SEE OUR AMAZING REVIEWS. FAMILY SERVING FAMILY SINCE 2007! WE HAVE GREAT FINANCING FOR ALL KINDS OF CREDITS. LOAN APPS ARE @PIONEERAUTOTUCKER.COM WE'LL GET YOU PRE-APPROVED IN AN HOUR. CALL/TEXT 770-400-0968 TO GET THIS DONE TODAY! !